The first offense is Driving While Ability Impaired (DWAI). This offense is committed where the driver consumed alcohol to the extent that he "has actually impaired, to any extent, the physical and mental abilities which he is expected to possess in order to operate a vehicle as a reasonable and prudent driver." People v. Cruz, 48 N.Y.2d 419, 423 N.Y.S.2d 625 (1979). DWAI is a traffic infraction and not a crime. DWAI is an offense to which the more serious charge of Driving While Intoxicated (DWI) is often reduced. The second offense is Driving While Intoxicated; Per Se. This offense deals with operating a motor vehicle with a specific blood alcohol concentration (BAC). In New York, it is DWI per se to operate a motor vehicle with a BAC of .08% or more. The third offense is Aggravated Driving While Intoxicated (Aggravated DWI). This offense is committed when a person (a) operates a motor vehicle with a BAC of .18% or more; or (b) operates a motor vehicle in violation of VTL Section 1192. (2), (3), (4), (4-a), with a child under the age of 16 in the vehicle (Leandra's Law). The fourth offense is common law Driving While Intoxicated (DWI). You can be charged with DWI regardless of whether there is a chemical test (for example, if you refused to submit to a chemical test). The legal standard for DWI is that "the driver has voluntarily consumed alcohol to the extent that he is incapable of employing the physical and mental abilities which he is expected to possess in order to operate a vehicle as a reasonable and prudent driver." People v. Cruz, 48 N.Y. 2d 419, 423 N.Y.S.2d 625 (1979). The fifth offense deals with operating a motor vehicle while impaired by drugs (DWAI Drugs). While DWAI Alcohol is a traffic infraction, DWAI Drugs is a crime. The legal standard for DWAI Drugs, however is the same as DWAI Alcohol. Specifically, a person is guilty of DWAI Drugs when the driver has consumed certain drugs to the extent that he "has actually impaired, to any extent, the physical and mental abilities which he is expected to possess in order to operate a vehicle as a reasonable and prudent driver." People v. Cruz, 48 N.Y. 2d 419, 423 N.Y.S.2d 625 (1979). The sixth offense is Driving While Ability Impaired by the Combined Influence of Drugs or of Alcohol and any Drug or Drugs (DWAI Combined Influence)." The standard for this offense is the same as for DWAI, only the impairment can be from a combination of certain drugs or of alcohol and a drug or drugs. 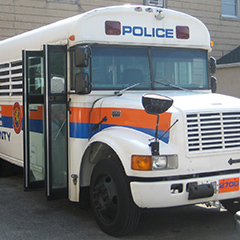 New York State has additional DWI provisions which apply to commercial motor vehicles. As with any criminal offense, the prosecution bears the burden of proving the charges against a defendant "beyond a reasonable doubt." Defending a DWI charge has become incredibly complicated and the penalties upon conviction has become more severe because of the increased political and public intolerance towards those who drink and drive. In a concerted effort to reduce Driving While Intoxicated and Driving While Ability Impaired By Drugs, New York State has imposed strict laws against these offenses. If you are arrested and charged with Driving While Intoxicated (DWI) or Driving While Ability Impaired By Drugs (DWAI Drugs), the consequences can be severe; you may lose your driver’s license, pay heavy fines, have your vehicle impounded and seized, and even receive a jail or prison sentence. Driving While Intoxicated convictions remain on your permanent criminal record and as a result, may interfere with your livelihood, causing you to lose your job or hinder future employment opportunities. With such high stakes, it is crucial that you contact a qualified DWI defense attorney as soon as you are arrested for driving while intoxicated. At Michael A. Arbeit, P.C., we understand the anxiety and fear one feels after being arrested for Driving While Intoxicated, and we will diligently represent you to ensure the best possible resolution for your case. We have a thorough understanding of sobriety tests and law enforcement protocol which can be part of an effective and comprehensive defense against the DWI charges you face. During our initial consultation with you, we will start to investigate and assess if there was police error, field sobriety test errors or inaccuracies, failure to follow proper protocol or administrative errors which may prove your innocence or lead to the dismissal of charges by the prosecution. If you have been arrested for Driving While Intoxicated or Driving While Ability Impaired by Drugs, contact Michael A. Arbeit, P.C. immediately who will fight aggressively on your behalf and protect your rights. In New York, the Ignition Interlock laws are very strict and you need an experienced attorney that knows all about the ignition interlock provisions. DWI in NY: Driving While Intoxicated; .08 BAC or higher or other evidence of intoxication. Aggravated DWI in NY: Aggravated Driving While Intoxicated: .18 BAC or higher. DWAI/Drug in NY: Driving While Ability Impaired by a single Drug other than alcohol. DWAI/Combination in NY: Driving While Ability Impaired by a the Combined Influence or Drugs or Alcohol. Refusing A Chemical Test(Breathalyzer or other test): A driver who refuses to take a chemical test (normally a test of breath, blood or urine) can receive a driver license revocation of at least one year (18 months for a commercial driver) and must pay a $500 civil penalty ($550 for a commercial driver) to apply for a new driver license. A driver who refuses a chemical test during the five years after a DWI-related charge or previous refusal will have their driver license taken away for at least 18 months (permanent for a commercial driver) and must pay a $750 civil penalty to apply for a new driver license. If you’re under age 21, and refuse a chemical test during the five years after a DWI-related charge or previous refusal, you will have your driver license revoked for at least one year or until age 21, whichever is longer – And you have to pay a $750 civil penalty to apply for a new driver license. NY Zero Tolerance Law: A driver who is less than 21 years of age and who drives with a .02 BAC to .07 BAC violates the Zero Tolerance Law. If you’re arrested for any of these violations, these are the potential fines and jail time you’ll be facing. * § 1198. Installation and Operation of Ignition Interlock Devices. device shall be a condition of probation. a motor vehicle equipped with a functioning ignition interlock device. privilege to operate a motor vehicle in accordance with this chapter. set forth by the commissioner or the court. motor vehicle equipped with an ignition interlock device. section one hundred twenty-eight of this chapter. other costs imposed pursuant to this chapter or other applicable laws. devices by other states, their agencies or commissions. vehicle to him or her of such driving restriction. department of his or her intention to so operate the employer's vehicle. operation of such vehicle in the scope of such employment. shall operate a motor vehicle without such device. shall be guilty of a Class A misdemeanor. device is guilty of a misdemeanor and may be subject to civil liability. If you qualify for a conditional license or conditional driving privilege, you will be allowed to legally drive within certain limitations. A conditional license is not valid for driving a vehicle that requires the operator to hold a Commercial Driver License (CDL). Note: The limitations for using a conditional license, and the reasons for its revocation, also apply to conditional driving privileges issued to participants licensed in other states. Upon enrollment, a Conditional License/Driving Privilege Attachment (MV-2020) will be issued to you with the conditional license/privilege. This attachment specifically lists the permissible uses of your conditional license/privilege. If you change your scheduled course or transfer to another program, the DDP will generate a Notice of Transfer or a Notice of Reschedule for you to carry with your MV-2020 Conditional License/Driving Privilege showing your new class information. All other changes must be immediately brought to the attention of DMV. To do this, complete a “Conditional License Privilege Attachment” (MV 2020) at a state or county motor vehicle office. Your conditional license will be revoked if you are convicted of violating any conditions listed in “Where and When You May Drive” or of any moving violation, including those concerning cell phones, seat belts, or child safety seats or systems. After the conditional license is revoked, you may continue to attend the DDP, but you must not drive under any circumstances. If you are over 21 years old and complete the program without additional convictions, your full license will be restored at the end of the program if you meet all other requirements. If you are under 21 and your conditional license is revoked, you must serve a one-year revocation even if you complete the DDP. Your conditional license will also be revoked if you are convicted or found guilty of any additional alcohol or drug-related violation, or any other violation that usually results in license revocation. If your conditional license is revoked, you may continue to participate in the DDP without driving, but you will not be re-licensed immediately after you complete the program. The DMV will consider your re-licensing only after you have completed the DDP and have served any required revocation period. If you are dropped from the DDP, your conditional license will be revoked. If this occurs, your original license suspension or revocation will be reinstated for its full length. To re-enter the DDP, you must obtain the consent of the DDP director. The Drinking Driver Program (DDP) is part of New York State’s effort to lessen the incidence of injury, disability, and fatality that results from alcohol and other drug related motor vehicle crashes, thereby reducing the risk of re-offense for an impaired driving offense. Participants in the DDP will receive an in-depth education regarding high-risk alcohol and other drug choices to assist them in identifying and changing high-risk behaviors. Multimedia presentations and guided discussion increase participants’ motivation to change behavior to protect what they value most in life. Individual and group activities are completed using participant workbooks. Participants also complete a preliminary screening designed to identify risk factors for a substance abuse disorder. Individuals found to be at risk for a substance abuse disorder will be referred for a comprehensive clinical assessment and referral to treatment if warranted. If you are licensed in another state or a province of Canada, see Out-of-State Options for DDP Entry. As a DDP participant, you must attend all seven weekly classroom sessions. Each session takes 2 to 3 hours for 16 hours total. When you satisfactorily complete the classroom sessions, your involvement in the DDP will end, UNLESS the program refers you for formal evaluation and any resulting treatment. DDP participants may be referred for a formal substance abuse evaluation by a NYS court, the Department of Probation or the DDP. DDP referrals can result from the results of a written self-inventory two or more alcohol or drug-related driving convictions within 25 years arrest for an alcohol or drug-related driving violation while enrolled in the DDP attending class under the influence of alcohol or drugs, a request by the student for help with a substance abuse problem, or an admission that the student is currently in treatment. If you are referred for evaluation by a DDP, you must choose a provider approved by the Office of Alcoholism and Substance Abuse Services (OASAS). You can find a list of approved providers at the OASAS website. If you are not satisfied with the results of the evaluation, you may ask the DDP director for a second evaluation. However, you must accept the findings of the second evaluation. In some instances you may be referred for assessment by a NYS court or probation office prior to enrolling in the DDP. If the assessment results in a determination that treatment is required, you must complete the treatment before the DDP will provide a completion certificate. It is important to understand that regardless of the referral source (DDP, NYS court or a probation office), if the assessment determines that treatment is required, you must complete the treatment in order to complete the DDP. your conditional license is under revocation you were under 21 when the alcohol or drug-related driving violation occurred you refused an alcohol or drug test on the date of the violation you committed the alcohol or drug-related violation while operating a commercial motor vehicle. You will be dropped from the DDP and lose your conditional license if you do not attend class, any required evaluation or treatment, or do not otherwise satisfactorily participate in the program, or do not pay the program fees. If you are dropped from the DDP, you must obtain consent from the DDP director before re-entering. A re-entry fee of $50 is required, payable to the DDP. Drops reported to the DMV will result in the revocation of your conditional license/driving privilege. Participants can only be re-issued a conditional license one time. At the time of sentencing, the court may issue you a conditional discharge (CD) that requires DDP completion. The DMV will notify the court if you do not enroll in the program, or are dropped from it. The court then may call you in for re-sentencing. When you enroll in the Drinking Driver Program you must pay the Department of Motor Vehicles (DMV) a nonrefundable fee of $75. Additional fees may apply. Cash, checks, credit cards, debit cards or money orders (made payable to the “Commissioner of Motor Vehicles”) are acceptable. After enrollment, you also must pay a fee directly to the program that will conduct your DDP classes. The maximum DDP enrollment fee is $225, payable to the program you attend. Payment is expected when you attend the first class. There will be additional fees if you transfer to another DDP or apply to re-enter a program you have been dropped from. During the DDP course, you may be referred to a NYS OASAS approved treatment provider for formal evaluation and, if necessary, treatment. If formal evaluation or treatment is needed, you will have to pay additional fees to the agency that provides those services. Participation in the Drinking Driver Program is available on a voluntary basis if you have been convicted of an alcohol or drug related driving violation, unless you have participated in the program within the last 5 years, or have been convicted of another alcohol or drug violation within 5 years of the current alcohol or drug violation. However, these limitations do not restrict the ability of the court to mandate participation, even if you have already attended a Drinking Driver Program within the previous 5 years. In such situations, participation will be required, yet you will not be eligible for a conditional license or privilege. You may be eligible for full non-Commercial Driver License (non-CDL) driving privileges after you complete the DDP, all recommended formal evaluations, and any required treatment. Your Commercial Driver License (CDL) or commercial driving privileges will remain suspended or revoked until the end of the CDL suspension or revocation. After the end of the CDL suspension or revocation, you must go to a state or county motor vehicle office to apply for restoration of your CDL or commercial driving privileges. pay a suspension termination fee. pay a driver civil penalty if your license was suspended for a violation of the Zero Tolerance Law. Please Note: Re-licensing after revocation is not automatic. For some revocations, you must first request and receive approval from the DMV Driver Improvement Unit (DIU) before you can apply for a new driver license at a DMV office. However, if you complete the DDP and have a conditional license, you may continue driving in conditional status during the remainder of the revocation period. What happens if I am convicted of an alcohol or drug-related violation in New York State? If you are convicted of an alcohol or drug-related driving violation, your license or privilege to drive in New York State will be revoked or suspended. However, you may be eligible for a conditional license or a conditional driving privilege if you participate in New York State’s Impaired Driver Program (IDP) (previously known as Drinking Driving Program (DDP)) or an approved out-of-state program. Your “Order of Suspension or Revocation” from the Department of Motor Vehicles (DMV) will indicate a nearby state or county motor vehicle office where you may enroll in the Impaired Driver Program and apply for a conditional license/privilege, if applicable. It is a criminal offense to drive a motor vehicle while your license is suspended or revoked. If you are convicted of driving under suspension or revocation, you may be fined and you may be sentenced to jail and/or probation. In addition, the police may impound the vehicle you were driving when arrested. If you are convicted of Driving While Intoxicated (DWI), Driving While Ability Impaired (DWAI) or Driving While Ability Impaired by Drugs, or if you are found to have refused to submit to a chemical test, you will be required to pay a driver responsibility assessment each year for the next three years. For more information, see Pay driver responsibility assessment. Participation in the Impaired Driver Program (IDP) will not prevent, reduce, or delay fines, fees, or penalties imposed under the driver responsibility assessment program.